Christmas in July is always so fun! 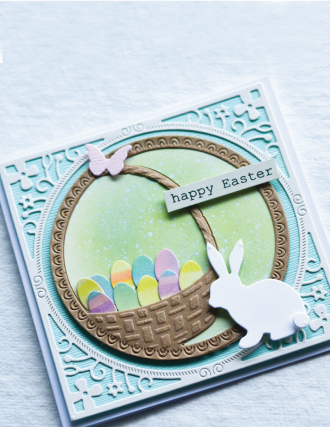 Pam here...I kinda got off the beaten path color scheme wise with this card but never fear...keep scrolling and you'll find more traditional colors with the same dies. 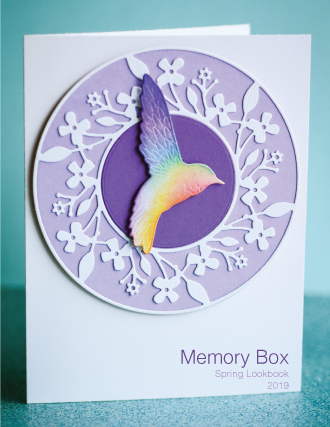 Here's the NEW Chatfords Wreath combined with some other Memory Box dies. Check out the links at the bottom of the post. I die cut the wreath two times from two different green card-stocks, kept all the pieces and just interchanged them between the two cards. 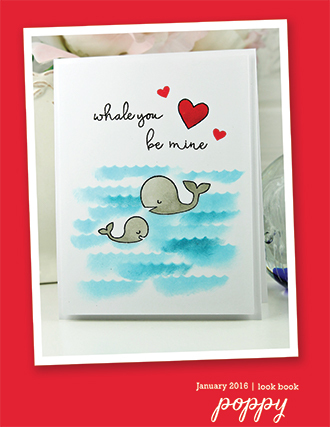 I love how these cards turned out! So fun... there is another, different one on my blog that I posted earlier in the week... just click on my name to see it too. 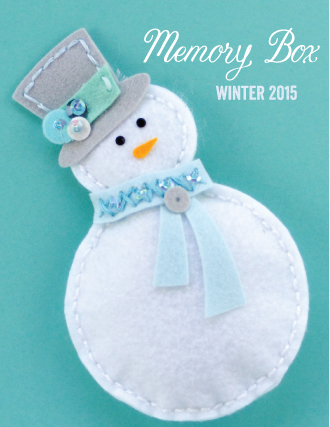 WELCOME to Day Four of the Memory Box 2015 Holiday release Blog Blitz! 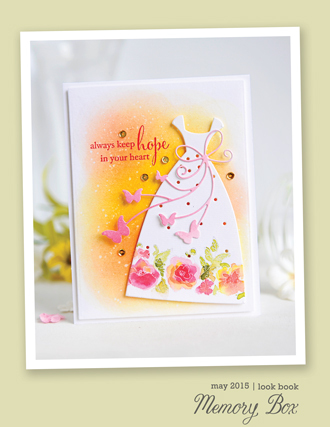 A week of inspiration and chances to win beautiful dies from the new collection! 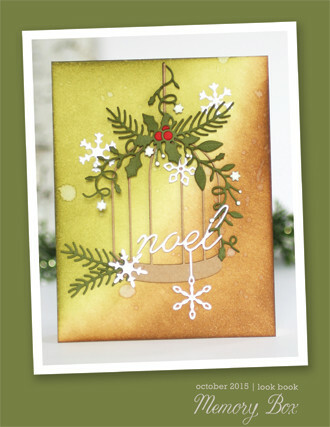 Pam here to share a festive Christmas card using the NEW Poinsettia Ribbon die. 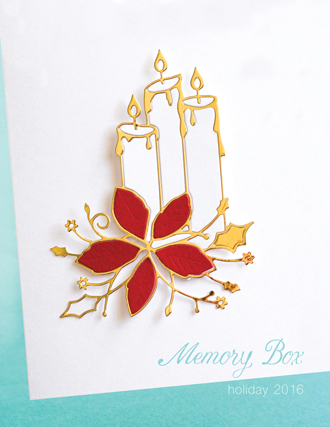 I die cut it in Metallic Gold and Red card-stock and mounted the gold ribbon piece with mounting squares behind the ribbon part and then mounting squares behind each of the red poinsettia petals. A gorgeous die! I love it! I did the ink smooshing watercolor technique for the background in three Distress ink colors, Abandoned Coral, Barn Red and Fired Brick. A few spatters of gold ink and some pearls to glam it up a little. 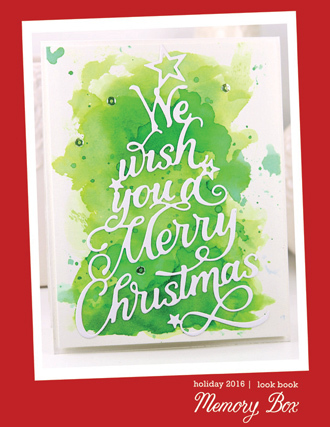 I mounted the panel to gold card-stock and then to a 5.5 inch square white card base, that I stamped the Merry Christmas Combo stamp on, and embossed in gold embossing powder. 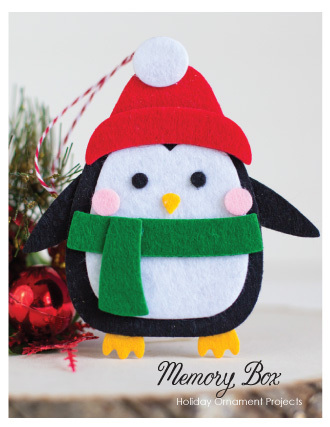 Comment on this post by July 19th at 11:59 pm EST for a chance to win the Poinsettia Ribbon die! Good luck! WOW! 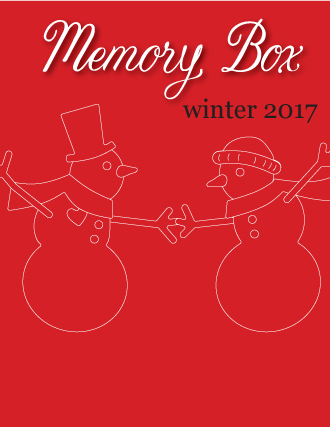 The detail in Memory Box dies just knocks your socks off doesn't it?! 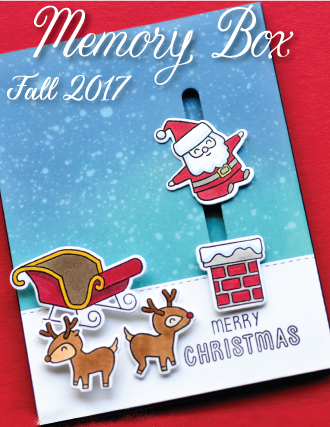 Pam here with another Christmas card to share using new dies from the 2015 Holiday Collection. 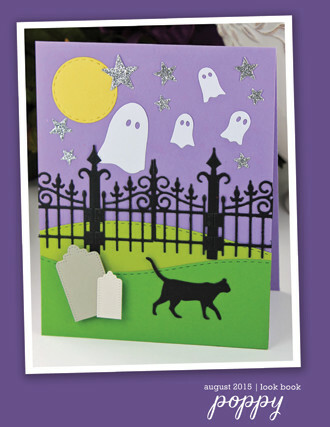 I die cut the NEW We Wish You die two times, once in red and once in black cardstock. 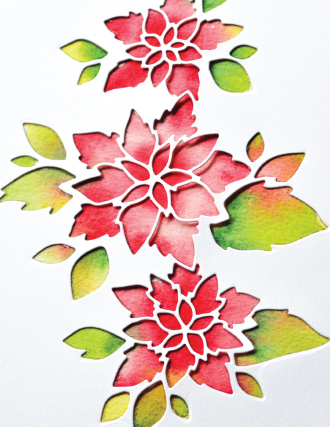 I glued the black cut over the red but left the poinsettia petals showing in red. I die cut the medium bow from the NEW Stitched Bows die in red card-stock and glued it together. I used thin mounting squares behind the petals, leaves and bow to adhere it to the vellum panel. 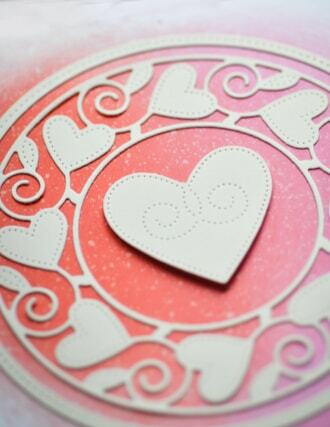 Then I put thin mounting squares on the vellum, behind the petals, to adhere it to the white, A2, top folding, card base. I hope you enjoyed the peeks at the new collection today! The team is gearing up with lots to share and next week is the blog blitz for this release! yay! Thanks for looking! Hi everyone! 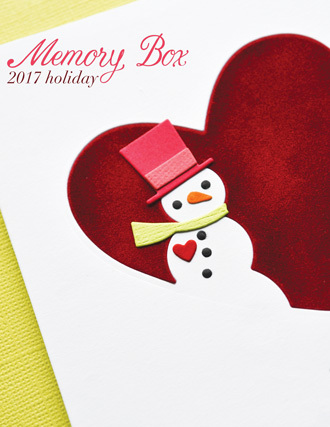 Pam here...I'm SO excited to be here showing a Christmas card I made with three NEW dies from the Memory Box Fall and Holiday release! I die cut the NEW Corby ornament die in green and red card-stocks, trimmed the green branches and leaves from the green cut and glued them on the red cut with Tombow Mono Multi glue. The red cut stayed intact. It was easy to do because most of the green is connected. With a gold gel pen, I colored the little flowers and circle buds. I die cut the NEW Drop Ornament Layers die in metallic gold card-stock and glued the Corby Ornament on top of it. 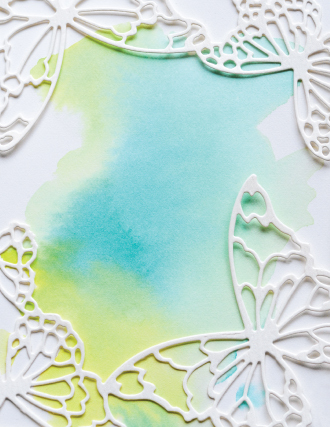 The NEW Blissful Bundle die I cut in green card-stock. For the red berries, I just placed a small piece of red card-stock over the die where the berries were and ran it though my Big Shot. I used a little piece of scotch tape on the back side of the green cut to hold the red berries in place. 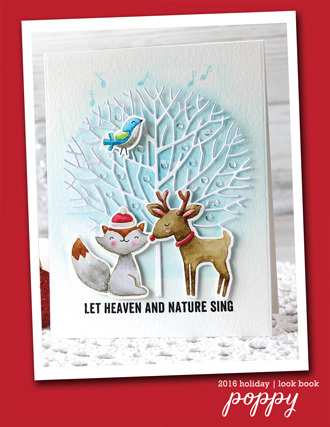 I glued the two extra pine branch cuts behind the berries and used a mounting square to adhere the Blissful Bundle to the top of the Corby ornament. 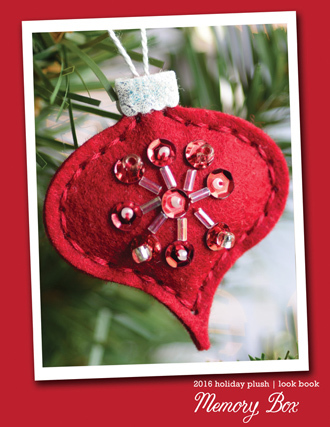 I mounted the ornament to a top folding, A2 size, red card base with mounting squares and added the gold May Arts 1/4 in. wired gold ribbon. Next I want to die cut these in watercolor paper and watercolor them! 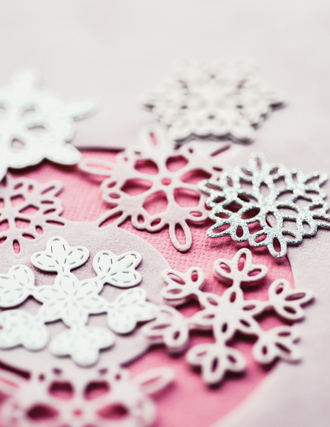 The Corby Ornament is so pretty, it'll be awesome cut from everything! Glittery, sparkly, glitzy goodness! 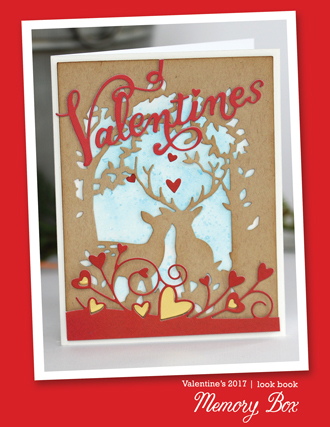 I'll be back this afternoon with another card using the new collection. 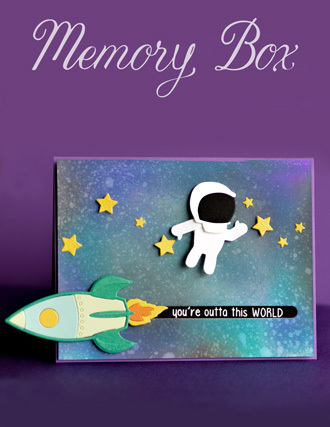 More Memory Box gorgeousness! You can plan a BBQ even if it's not your birthday though! 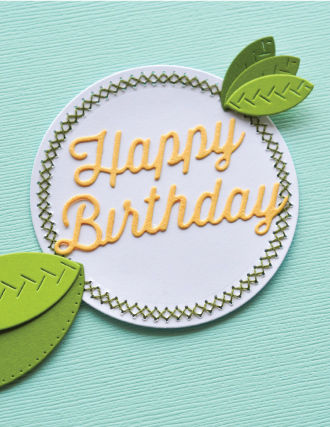 Pam here to celebrate birthdays and Summer with a fun scene card! oops! Got off track there for a minute, back to the card! 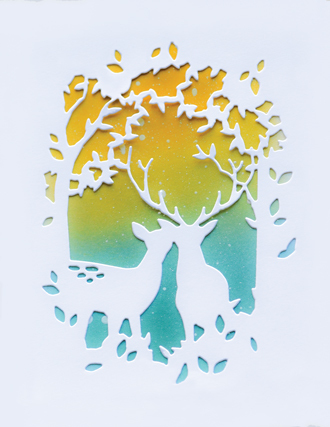 I die cut the Circle Forest Scene parts from cold press watercolor paper. Then I watercolored them, the grass/trees with Peerless and the grill, houses and clouds with Zig Clean Color Brush Pens. 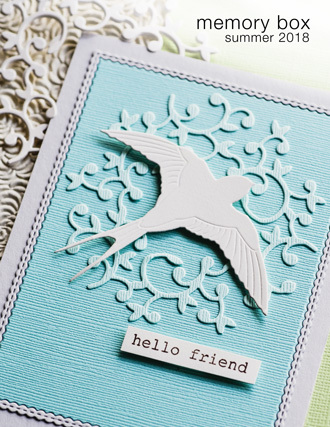 The little curvy fence is from the Wide Open Spaces Open Studio die set. I just trimmed off the bottom...perfect fit! I wish I'd used the Celebrate from this set because it's just enough larger. 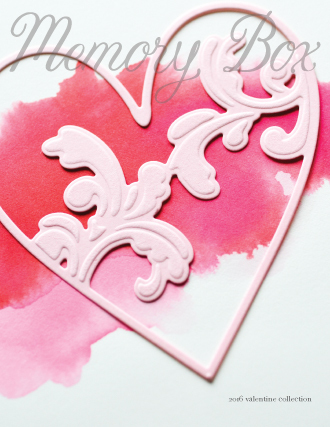 I didn't see it until I'd already stamped this one from poppystamps Into the Words set. 'It's your birthday' is from the same set. 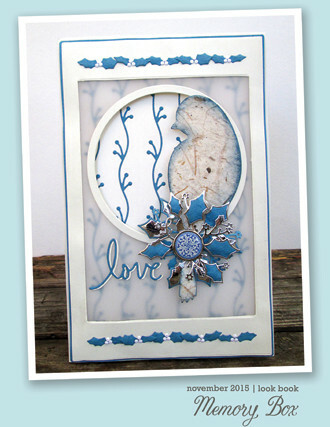 I die cut a circle frame to place over the top from the Shaker Circle Frames die set. Well, I see I goofed. The Grill has been discontinued!!! I wouldn't have thought... so think bicycle or golf cart or even the new tractor die! Sorry about that! All that's left to do is layer everything up! 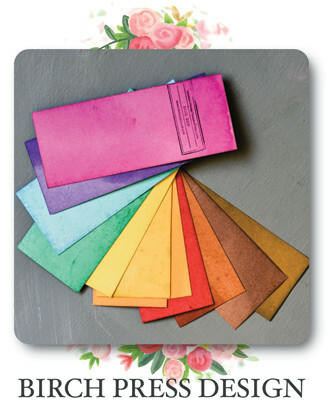 I use ATG, Tombow mono multi glue, thin and regular 3L/Scrapbook Adhesives mounting squares. Happy Summer day to you! Thanks for stopping by! Welcome to the blog today! 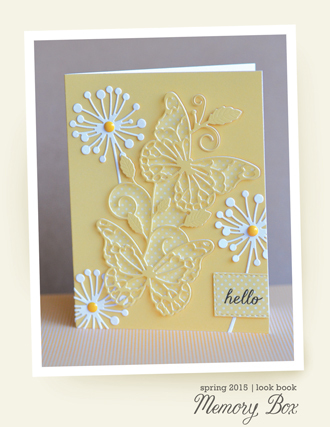 Pam here to share a pretty floral border thank you card with you. 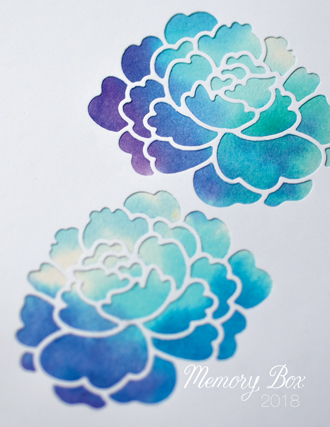 I started by stamping the beautiful Blooming Sketch Border stamp with Ranger Archival Black ink on watercolor paper and coloring with Zig Clean Color Brush Pens. After it was dry, I die cut the panel with the largest rectangle die from the Cross Stitched Frame Borders die set and layered it to an A2 card base. 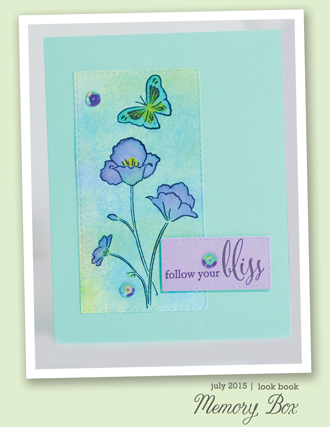 I embossed the poppystamps Thank You sentiment with super fine white embossing powder on a black banner and stamped the friend sentiment directly on the watercolor paper with the MISTI stamp tool. Both are from the Hope and Thanks set. I die cut the Pennington Rose Border die in white card-stock but just used the right end and one other rose from the cut to embellish above the banner. I added a few enamel dots in green. 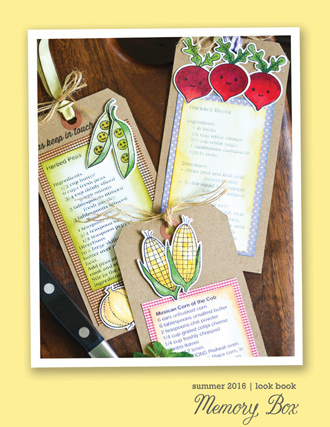 I love the fun touch the dots add to the mix. Thanks for stopping by today! Have a creative, relaxing Summer weekend! Well...hi everyone! Pam here... I had fun grunging and distressing up the new Steampunk Pipes die! Then it was what to put with it! I have a friend that likes Steampunk, so I decided to distress up the new English Rose Bouquet, Gearworks Border, Uppercase Alphabet Soup letters and add them to the frame I made with the die cut pipes. I die cut everything from white card-stock, inked completely with Rusty Hinge and then Black Soot Distress inks. The Rose Bouquet I die cut from white twice. Inked the roses on one with Rusty Hinge and Black Soot and the other with Peeled Paint and Black Soot. 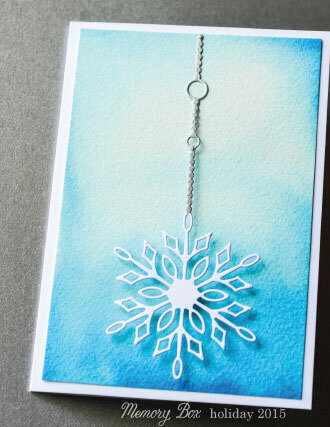 I pounced a Versamark pad on the pieces to hold the chunky embossing powder while it melted. On the inside, I stamped a coordinating sentiment from the poppystamps Hope and Thanks clear stamp set. HOPING (on the front)... you have a terrific birthday (on the inside). Very fun! 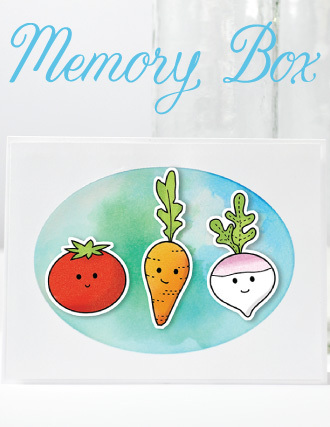 I think it'd make a cool man card too, without the Rose Bouquet... maybe just embossing the new clear stamps in the frame. Spring and flowers...is it a coincidence that Mother's Day is in the Spring?! 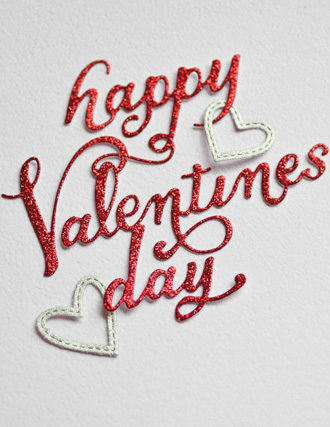 I'm sure you are all enjoying your flowers and plants you received! I know I am! 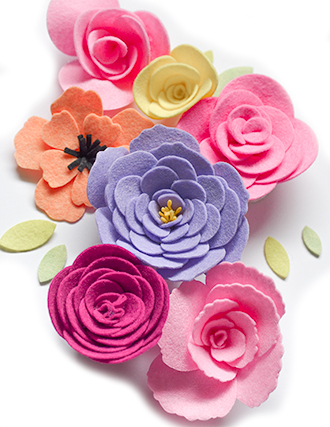 So I'll carry on with three flower card ideas today. 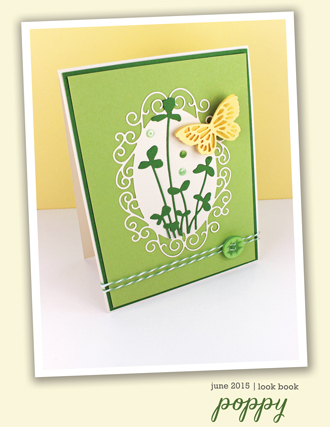 I used the NEW Aberdeen Branches die for my first card...die cut in green, then used scraps of yellow and orange to cut extra flowers and the butterfly. Trim those cuts and glue in the centers to the green cut. 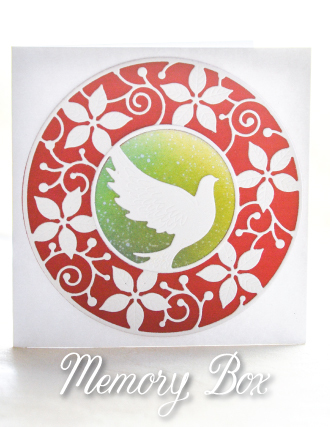 The sentiment is from the NEW poppystamps clear set 'Into the Words'. 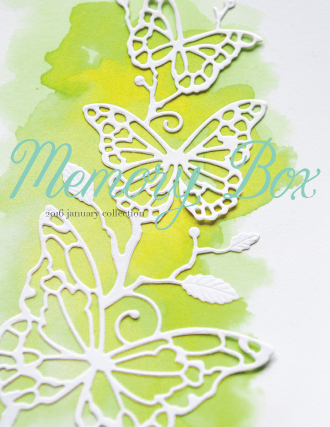 I used a white Signo Broad gel pen on the little white flowers and Ranger White Enamel to make the green 'buds' white. 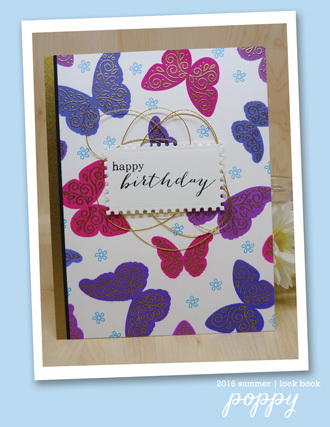 And one more card using the NEW Row of Poppies die, the NEW Open Studio Postage Rectangle Layers die set and the NEW Open Sudio Party Time Clear Stamp set. Poppies are layered on one of the Open Studio Stitched Rectangle Layers dies. All three cards are A2 size. Thanks for visiting us today! 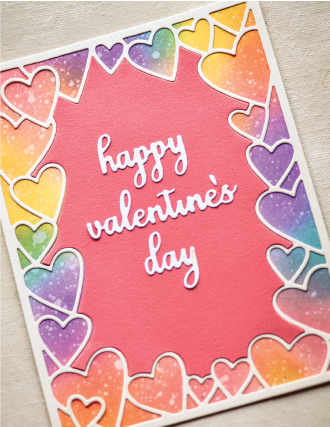 Happy card-making weekend to you! Hi everyone! Pam here... The NEW Archway Forest dies...so neat! When I first saw them, I knew, I had to have them for scenes! : ) Then I decided I had to make them up for Spring! My next idea was to inlay the NEW Small Forest Archway die so I could stamp over the top of it! Awesome, right?! Don't you love it?! I do! You have to try it! Photos just don't do it justice! 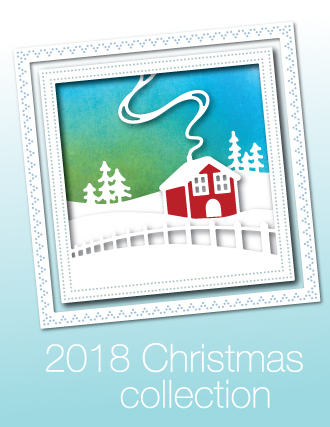 The stamp I used is the NEW Happiness stamp. I die cut the NEW Grand Forest Archway die, popped it up by just putting mounting squares, that I cut in half on the tree trunks, top to bottom. 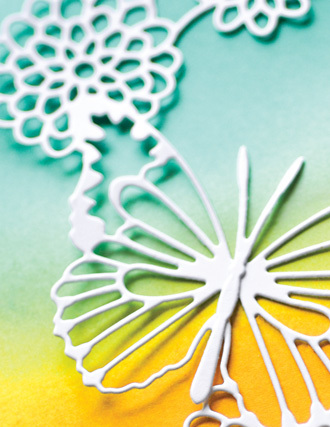 Die cut and shape the flowers from the Blooming Border die and glue them on here and there for the blooms on the trees. Yes, it had to have a butterfly! 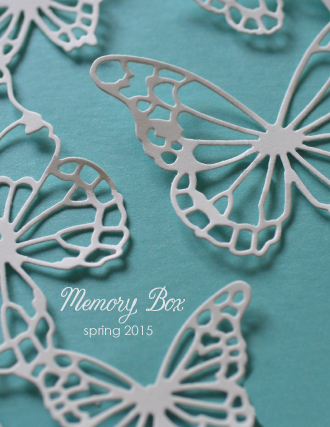 I die cut and shaped with my fingers, the smallest butterfly from the Leavenworth Butterfly Trio die. Thanks for stopping by the blog today! 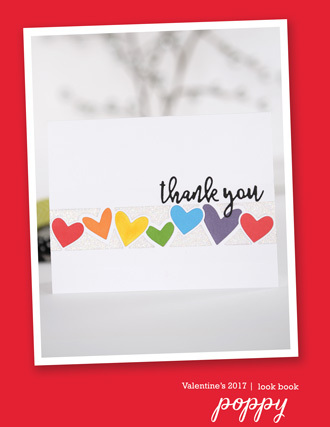 Thank you so much for your encouraging comments, they are always appreciated! Hi everyone! 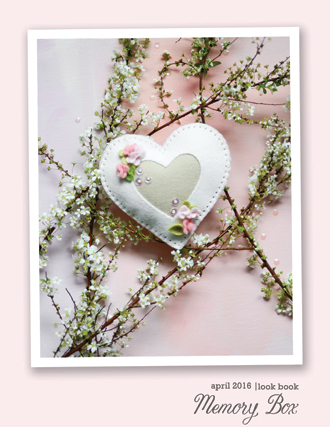 Pam here...to share the cards from my Shabby Chic Spring class. 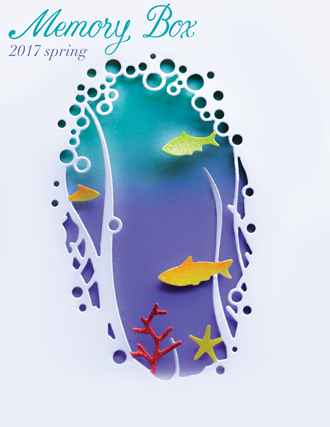 I had nine awesome stampers in the a.m. class, April 11th at Scrapmania in Cedar Rapids, IA and we had a great time! On your mark, get set, go! machines lined up and ready! I was so happy with these cards...Memory Box dies, Dark Vanilla, Parchment, Kraft and Pool notecards and pattern papers...so pretty! I wish you all could've been there! :D Thank you Scrapmania for having me come!